Come & discover over 40 differents categories of unique handmade creations by Glitter Paradise. Search "Glitter Paradise" on ♥ facebook ♥ Instagram ♥ Pinterest ♥ ello ♥ Flickr & other networks! 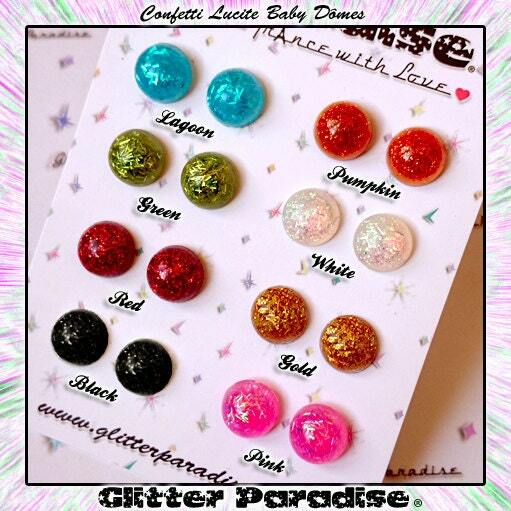 Glitter Paradise creations are shipped worldwide from France. Delivery time after processing varies based on order's destination and can not be guaranteed by a certain date. In some cases you can expect a minimum of 2 to 6 weeks for packages to arrive to destinations outside Europe. By default products are shipped using standard shipping. Tracking Code, Insurance, Signature Confirmation, Fast Shipping or else!! 1) If you wish for extra options such as tracking to follow your package or insurance in case it get lost or damage, please choose those options in the shipping menu options before you finalize your order as Glitter Paradise is not responsible for lost or stolen packages if you do not purchase an insurance. All items will be packed carefully to ensure that they'll arrives safely to you. 💫 Only items that were incorrectly sent or missing from your order can be refunded. so if you're upset, let me try to make you happy before you leave your final verdict. Communication is always a good thing and customer friendship means a lot to me! Creations can be made with from resin, clay, plastic, fabric, wood, molten glass, metal, recycling and anything that can falls into my hands at the time! Every item is as unique as we are, so not two are ever the same. They may vary slightly from what you see but they will always look as pretty. 📐 Custom orders are a big part of my work and I always really enjoy making them, so don't be afraid to tell me what you wish for as I will love to make your wildest dreams come true!! and if you've seen a Glitter Paradise's creation elsewhere that u can't find here or if you'd like something slightly different, just ask! 🌸 Handmade items are best when cared as they are precious and delicate little things. 👝 All jewelry comes in a cute little packaging. Creations are attached on a Glitter Paradise cardboard and introduced into matching sealed bags. As for shipping, all items are packed carefully to ensure that they'll arrives safely to you. 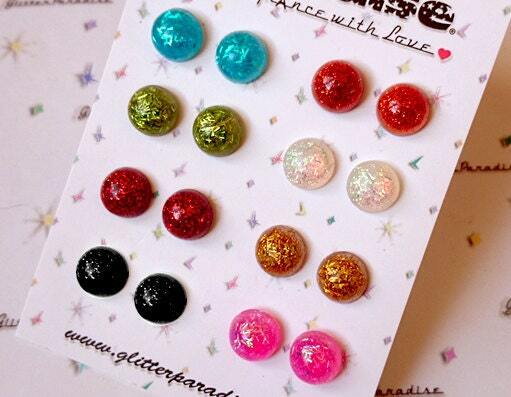 🏭 Glitter Paradise's creations are sold at wholesale price to some selected shops & resellers worldwide. Glitter Paradise est vraiment très sympa, jolies boucles, merci encore! Les boucles d'oreilles sont très jolies et merci beaucoup pour le cadeau ! !Tu es très aimable.